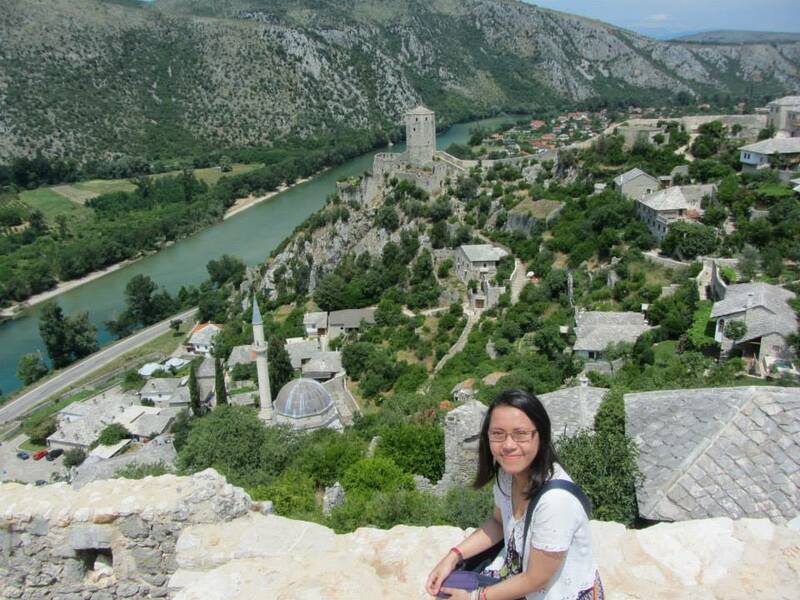 Initially, I did not plan to go around much of Hercegovina, the southern region of the country. I just wanted to stay in Mostar for a couple of nights, and then take the train to Sarajevo. But Teo, my airbnb host, offered a very good deal to tour Hercegovina. I forget how much it was, but it was pretty cheap even for a cheapskate like me. With his car, Teo brought me to see Blagaj, Počitelj, Mogorjelo, Kravice, and Medugorje. Our first stop was the dervish (sufi) house, Blagaj Tekke, just 12 km away from Mostar. It was originally built in early 16th century, and has housed different schools of dervishes: Kadiri, Rufai, Khalwati, and Nakshibandi. The complex, built in Turkish Ottoman architecture, is located next to the source of Buna river, a tributary of Neretva river. Visitors must dress modestly (as in no shorts and revealing clothes), but worry not, the museum provide scarfs free of charge. I felt serenity filled the breezy space and the sound of the river seemed to amplify the peaceful mood. The river was crystal clear and cool to touch. The complex was small but definitely beautiful. Next was the fortified town of Počitelj, which rose and fell along with changes of power holders. Under Hungarian rule (1463-1471), the town held major strategic importance. Ottoman Empire (1463-1471) brought along the construction of public buildings such as mosques, schools, charitable kitchen, baths, inns, and the clock tower. When Ottoman fell, Počitelj assumed its strategic importance and strengthen its fortification. However once Austro-Hungarian Empire came into the region, it lost importance again since it remained outside the main communication roads. Citizens started to abandon the town. The fell of Yugoslavia and the war afterwards harmed Počitelj even more, when Croatian forces bombed the town and its surroundings. Named by the World Monuments Watch as one of the world’s 100 most endangered cultural heritage sites in 1996, it is now a protected historic urban area. Teo guided me through the picturesque old town and it was quite a hike. It was a very sunny day (read: hot!) and I was almost out of breath when we reached the top of Počitelj. But the view was breathtaking as well. 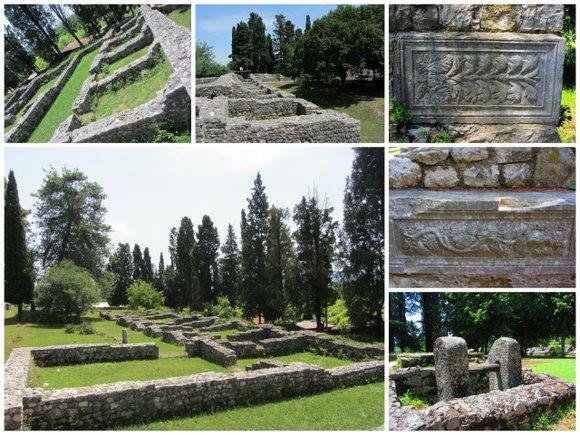 Mogorjelo is the oldest site I visited in the trip. Built in the 1st century, the villa was destroyed by the Visigoths in early 5th century. Some decorative stones can still be seen in the ruins. 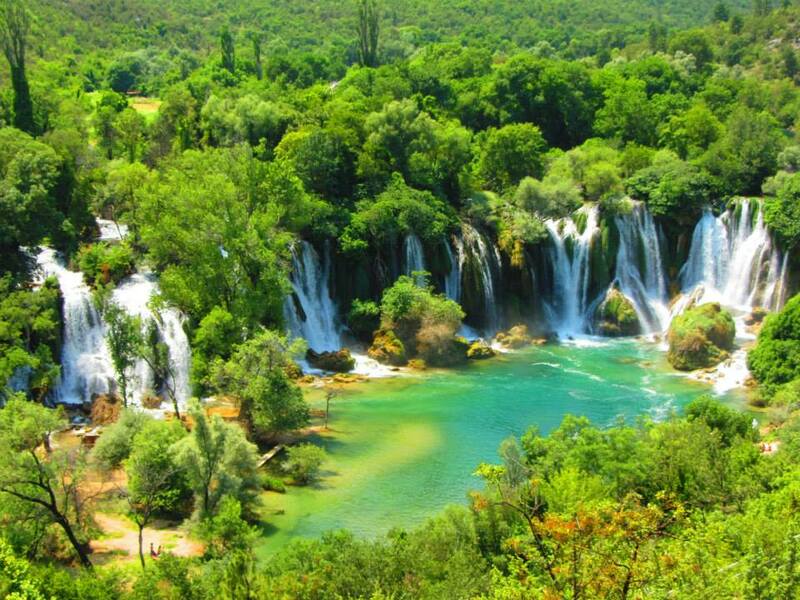 Lunchtime was spent next to Kravice, a beautiful waterfall where lots of people sunbathed on the pebbled shore. I couldn’t care less about sunbathing (not my thing — we have plenty/too much sun near the equator, remember), the waterfall was tempting me to jump in but I didn’t bring any clothes to change to, however the skewered veal I had was cheap (10 KM = 5 euro) and totally delicious. Yum. 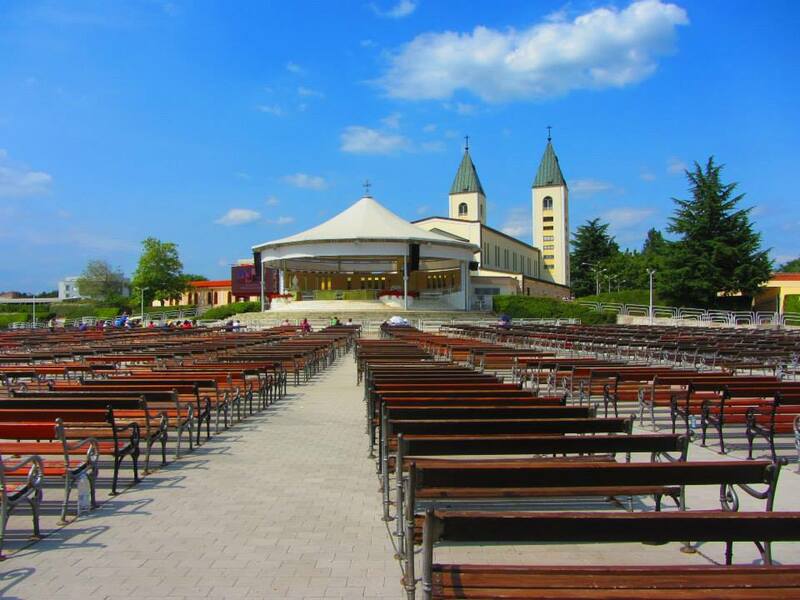 The last stop was Međugorje, Hercegovina’s Lourdes. Six Catholics claimed to see Virgin Mary apparitions in 1981, and then the site became a pilgrimage destination. I walked around the church a bit and bought some souvenirs for Yoga’s family. A tired but happy me returned to Mostar in the afternoon. The decision to go around Hercegovina turned out to be very rewarding. Hvala, Teo!